Are you tired of skyrocketing healthcare costs? Do your employees struggle with navigating our healthcare system, and the confusing medical bills that result? 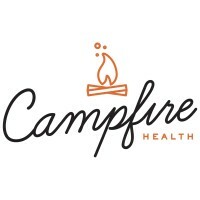 Campfire Health was founded to help you and your employees with these exact concerns. As our name suggests, we're focussed on the health of your company. What we've found is this: By addressing the health of your employees, we're able to help your employees, and improve your company's financial health as well. If any of the above sounds like a good fit, we'd love to talk.